The death anniversary of former Chief Justice Milliani Claude Sansoni fell on June 16, 2013.As a Judge he will go down in legal history as one of the most conscientious and illustrious Judges who graced the Supreme Court Bench. He was born to a family with a strong legal background on November 18, 1904. His father who was a Justice of Peace and an unofficial magistrate, was also the crown proctor of Negombo. His paternal grandfather Milliani Henri was a proctor of the Supreme Court. Two paternal uncles Waldo who went on to be a District Judge and Guy, who enjoyed a leading practice at the Chilaw Bar, enhanced the Sansoni links of an earlier generation with the legal profession of this island. These links were further strengthened when Justice Sansoni himself married the daughter of Aelian Owen Morgan Ondatje, an eminent proctor from Kegalle and who was himself a JPUM and fathered a son who served as a senior Parliamentary Counsel in Tasmania. Judstice Sansoni proceeded not only to add lustre to the family name, but also to become a very distinguished member of his community and by far the most illustrious member of the Sansoni family. 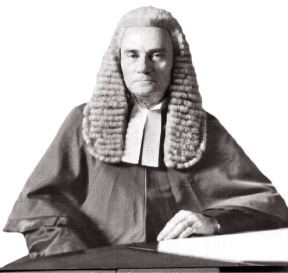 Justice Sansoni received his early education at Royal College and entered the University College where he obtained his Bachelor of Arts Degree as an external student of the London University in 1925. Thereafter, he entered the Ceylon Law College and came first in the Final Examination in 1928, winning the prizes for Civil Procedure,Criminal Procedure and Evidence. He then commenced his practice at the Bar in 1929 in Kandy. His career at the Bar did not last long. 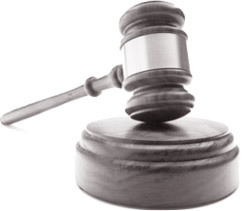 He joined the minor Judiciary in December 1937, at the very bottom of the ladder as acting Magistrate of Dandegamuwa. He handled both the criminal and civil work with ease and finesse. His work as a Judicial officer took him to several stations spread over the length and breath of the island. In September 1953, he was appointed as Commissioner of Assize. On May 10, 1954, he was appointed as Supreme Court Judge. Indeed he was in every inch as upright Judge. He set for himself the highest possible standards which he unfailingly and unswervingly observed and maintained and which, he expected other Judges too to follow. As Chairman of the Judicial Service Commission he strove hard not only to inspire and get the best out of the officers of the service, but also to instill in them that they must unceasingly strive to be worthy of the regard and respect which the bar and the public of this land accorded to them. The judgements handed down by him will long endure as testimony to his intellectual attainments, to his uncompromising independence, and to his unfailing impartiality. He was indeed dignity and decorum personified, the epitome of kindness, integrity and fair play, the embodiment of all that is right and proper. He was soft spoken. Seldom, if ever, was his voice raised in anger. Taciturn by nature, the study of Western classics made him appreciate the value of the spoken word. There was never any tension in any Court he presided over - be it the Magistrate's Court, the District Court or the Supreme Court in the island and maintained the dignity of his Court with ease, with firmness and tact which only few other judges have matched, but never surpassed. He certainly was one of the finest gentlemen ever to have adorned the Bench in scarlet and ermine. He never overlooked the importance of the role that the Bar has to play in the administration of Justice. He maintained his friendship with the Bar throughout his career. When he was appointed Chief Justice, he broke with tradition and chose to take his oaths in Kandy. The whole of Kandy turned out that morning to greet the Chief Justice. He was greeted by the members of the Bar, not only in Kandy, but also of Gampola and Matale. He always considered the lawyers to be an indispensable part of the Judicial machinery and emphasized that lawyers and Judges should "work in harmony". Further, he was a devout Christian and drew great strength from his faith. He believed in eternal values and freedom and dignity of the human spirit from which belief came his deep commitment to human rights and the rule of law. Justice Sansoni laid down the robes of office on November 17, 1966 and faded away into a well-earned retirement, even Characteristically declining a ceremonial farewell sitting of the Court. His well-earned rest was, however, to be short-lived, for, there then began another phase of his distinguished career. A period when he was to be called upon, from time to time to undertake varied assignments, both of specialised and national character on behalf of the state. He was entrusted with the responsibility of being the first Chairman of the Law Commission in which capacity he proposed several important changes in the field of both the civil and the criminal law. In 1977, in the wake of the communal violence which erupted in the months of August and September 1977, the then government appointed him to report on the incidents and to recommend measures for the rehabilitation of the victims and ensure the prevention of the recurrence of such incidents. Furthermore, it is but opposite that Chief Justice Sansoni's hero was the great lawyer the late H V Perera. Indeed, Chief Justice Sansoni was an extraordinary man and an extraordinary Judge. He was an embodiment and personification of kindness, integrity and fair play. He was the model gentleman who like Justice Carvin could hurt no one's feeling much less do an injustice. He would have said with that eminent Lord Chancellor Lord Sankey, "A Judge's vision is rightly focused on the case before him and his reference to Authority and principle is confined to what is strictly necessary for deciding the issue and stating the reason for the decision." Chief Justice Sansoni breathed his last on June 16, 1989 and so ended one of the most noble and illustrious Judicial career this fair island of ours has ever known - a career which was always guided by the thought that "the path of duty was the way to glory."